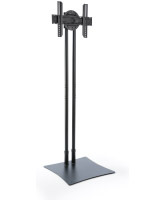 This LED television display is height-adjustable with eight settings for showcasing a plasma screen TV. 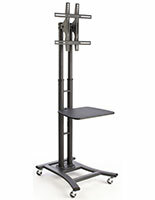 This unit ships unassembled for cheap! 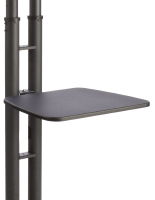 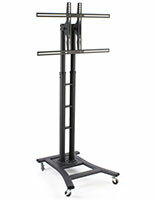 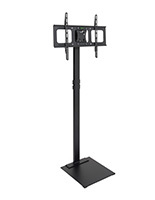 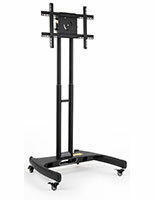 This LED television display, also known as monitor stands, adjust from 44" to 71.5" (an Allen wrench is included in shipment for this purpose.) 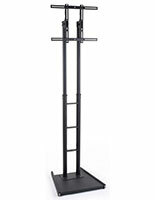 This flat panel holder is sized to support a 37" to 65" TV up to 110 lbs. 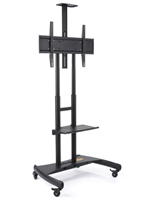 This television display has wheels, making it easy to move from place to place, and they lock into place when a destination is reached. 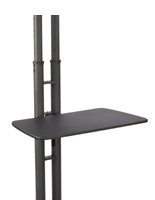 This LED TV stand can be angled down to 15°, using the tilting arms. 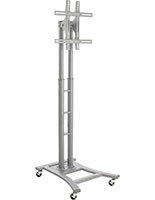 If unsure of the VESA measurements of your technology, contact the manufacturer prior to ordering.